Derek Llambias | NUFC Blog. Archive for tag: Derek Llambias. 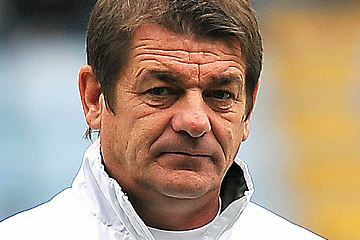 Will John Carver be told who to play at Newcastle United? Is Carver under orders like McDowall? By his own admission, Rangers’ current caretaker head coach, Kenny McDowall, has been told not only that he has no say in the players they sign, but also that he will only have a limited input into team selection too. 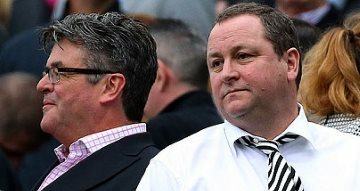 Most Newcastle United fans are now familiar with the sight of Newcastle United’s PR consultant, Keith Bishop, who seems to have become a permanent figure at the right hand side of Mike Ashley. But who is he? And how did Keith Bishop PR get the job despite being a small celebrity PR company that would be totally out of its depth with a large Premier League club? Finally, what does former Newcastle United managing Director Derek Llambias have to do with all this? Below are a few answers. First to correct a few possible misconceptions from the local media though. 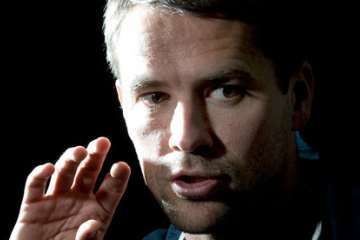 NUFC Blog’s latest piece on metro.co.uk is out now! This is a fairly brief note to let you all know that my latest blog for Metro.co.uk is now published. Entitled “How the Wilfried Bony to Newcastle United story started,” it takes a look at how a piece on this site extolling the virtues of Vitesse Arnhem’s prodigious striker eventually led (via the Telegraph) to a full blown Newcastle United transfer rumour which even incurred the wrath of Derek Llambias according to the Journal (which made my day incidentally). McManaman – No further action from the FA. The FA have finally made their statement on Callum McManaman’s vicious attack on Massadio Haïdara’s knee on Sunday, with news that they will be taking no further action. “The FA can confirm that no action can be taken against Wigan Athletic’s Callum McManaman retrospectively following his side’s game against Newcastle United on Sunday 17 March 2013.